Snøhetta recently completed a new project for the well-know crystal brand Swarovski. The new Swarovski Manufaktur in Wattens, Austria has been nicknamed the Crystal Atelier of the twenty-first century. The Crystal Atelier of the twenty-first century is the definition with which Snøhetta recently presented its new project for Swarovski in Wattens, Austria to the public. 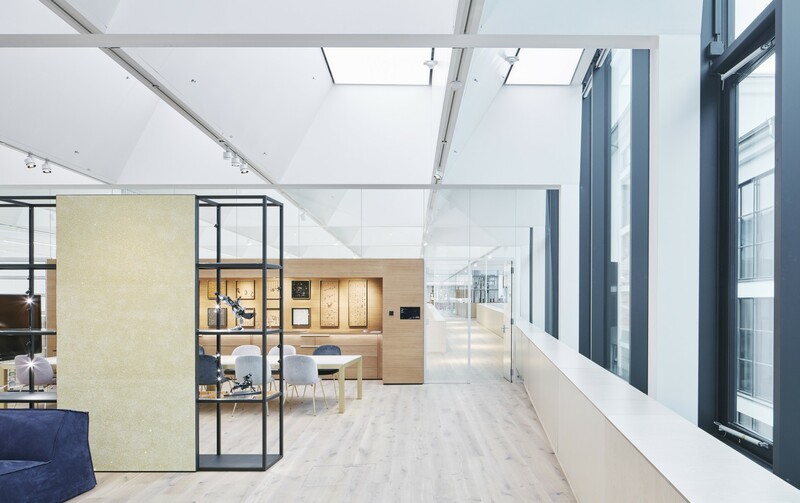 This is not the first project the architectural studio has produced for the well-known crystal manufacturer, but the Swarovski Manufaktur goes a step farther, innovating with respect to the traditional production plant. Snøhetta’s plant is an “inclusive" production facility bringing together under one roof all the people involved in the production process, from customers to crystal professionals: designers and artists, researchers, craftspeople, machine operators and technicians. The company’s entire production process is brought together in a single place, the ideal place for production of small quantities requiring close interaction with the customer. A place with cutting-edge machinery permitting "rapid prototyping", another strong point of the Manufaktur, but where Swarovski’s expert craftspeople are also present to complete the production process begun by the machinery with their expert hands. In a building where the process of physical production is the most important function, the challenge faced by the architects of Snøhetta was to design a space that would facilitate collaboration and inventive discussion, that would stimulate and encourage creativity. The concept is reflected in the design of the building, according to Patrick Lüth, managing director of Snøhetta’s Innsbruck studio; the architects did not interpret the physical properties of crystals in the building’s geometry: “ “Instead, we have tried to understand what makes crystal so special and attractive, and to use these ephemeral qualities to create a specific atmosphere”. Daylight is therefore an element of key importance, for it is light that brings crystals to life, creating magical effects of colour and refraction. Unlike many other production facilities, the Swarovski Manufaktur has an incredible amount of light, a result achieved with plenty of skylights. 135 "cassettes", openings protected by special filters to prevent excessive solar radiation, are set into the self-supporting white steel structure of the ceiling, made with repetition of 6x3 metre modules arranged in a grid on a slight slope. All building services are fully incorporated into the roof structure, while the ceiling is covered with acoustic panels to ensure good absorption of background noise so that people can talk despite the sound of the machinery and production facilities.